If you have been conscious of your health and well-being, you probably could be ordering organic foods in the groceries store; organic mattresses are their equivalent when it comes to sleeping options. When it comes to the manufacture of mattresses, makers of organic mattresses avoid adding chemicals and other potentially harmful synthetic materials onto the mattresses. Instead, the mattresses are made of organic wool and organic latex among other organic materials. The exact way organic fruits are free from pesticide and fertilizer residues, organic mattresses don’t have chemicals that are often found in traditional mattresses. For instance, organic wool and organic cotton are the two commonly used padding materials in organic mattresses which have a natural source. These raw materials are also mechanically processed, thus eliminating the need to use toxic substances that may be detrimental to the human health. As a result, therefore, you will be more protected from respiratory diseases, skin irritation and neurological diseases which are often associated with the chemicals used in the manufacture of traditional mattresses. It is also important to note that some organic mattress brands do use materials that are not entirely organic but are more natural than those found in traditional mattresses. All mattresses manufactured or entering the United States are required to pass flammability tests before being sold out to consumers. Mattress makers employ different mechanisms of passing the tests. One ingenious way traditional mattress makers use to pass the test is to add fire retardants such as brominated stuffing, antimony, boric acid and chlorinated foams which are all toxic and can cause reactions to some people. Besides, such fire retardants have been found to be leading causes of kidney problems, neurological diseases, and respiratory complications. Organic mattresses have a better way of passing fire tests. 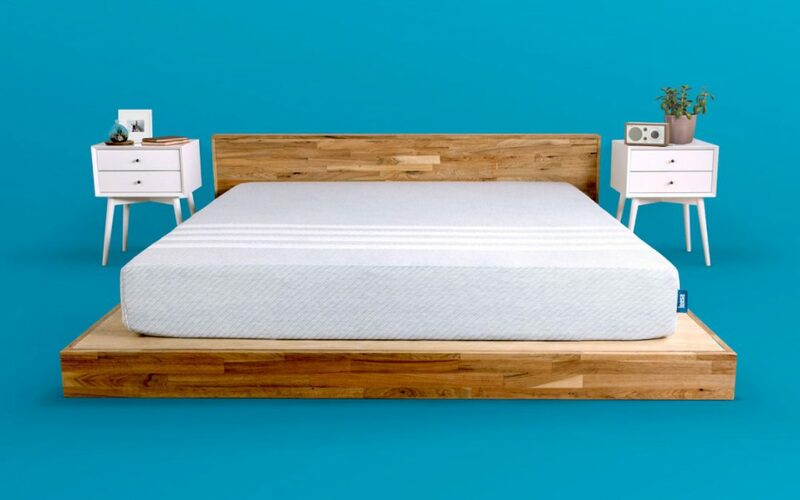 Instead of adding toxic fire retardants, makers of these mattresses use wool layers, Kevlar and inert fiberglass among other non-toxic materials that help the mattress pass the fire tests. As a result, organic mattresses are not only good for your health but also help keep the environment clean. Every time you purchase an organic mattress, bear in mind that you are supporting sustainable production processes. It starts with the farmer. Cotton and latex rubber growers strive not to use pesticides and fertilizers that might add unwanted toxic elements in the final harvest. The organic mattress manufacturers use the harvested cotton and rubber to make healthy and environmental friendly mattresses. This is a great way of encouraging sustainable production, healthy lifestyles, and a lively planet. One pressing problem with traditional memory foam mattresses is that they tend to trap body moisture. This is why you often feel hot, sweaty and sticky while using your traditional mattress for sleep. The blame is shared equally on the coverings and material used to make the mattress. For instance, plenty of traditional mattresses have plastic polyesters and other synthetic foams incorporated into them. These materials aren’t porous enough to help circulate air. As a result, your skin’s pores would have nowhere to breathe and release the sweat. That’s why sleeping on a traditional mattress could make you feel like as though you’re roasting or you are in a sauna right on your bed! Organic mattresses are less of a problem when it comes to temperature regulations. The cotton used in organic mattresses is great for your skin pores and helps keep you cool. Horsehair and wool are often mixed with cotton to act as natural wicking fibers. Lying on an organic mattress at night, therefore, keeps your body at the right temperature, humidity and circulates air to keep you comfortable. Frankly, organic mattresses are a little expensive compared to traditional mattresses. But they are a great investment whose returns can be felt for a long time. Organic mattresses have a longer warranty, retain support and feel good for a longer time compared to traditional mattresses. Over the lifespan of a typical organic mattress, you can buy and replace several other traditional mattresses. In these days of cost-cutting and saving every penny at any slightest opportunity you get, buying an organic mattress is the best thing that can ever cross your mind. Imagine lying on a mattress that isn’t pumping carcinogenic vapors into your lungs. Lying on organic mattresses removes the health worries that are brought about with traditional mattresses. Worry can affect the quality of sleep you can get. The safety of organic mattress, therefore, gives you fewer things to worry about and makes you sleep longer. The density of a mattress has a profound impact on its durability and comfort. A typical organic mattress with just 5.4 pounds in density can last between 40 and 50 years. A traditional mattress of similar density will last far less than that and won’t have such texture for comfort.